Duncan Toys promote violent juggling…as they should, because it’s ridiculously fun. “Combat” is a game that originated at juggling festivals, and it’s sort of a cross between juggling, dodgeball, and rugby. The rules are simple…you must be juggling three clubs at all times, and you must try to screw that up for everyone around you. Last person juggling wins. You can play individuals or teams, both are fun, and when you get a bunch of REALLY good jugglers together it becomes downright terrifying…and the clip above shows. Filmed at the 2011 and 2012 World Juggling Federation Competition, this video shows a bunch of jugglers at the peak of their abilities swinging hard plastic objects near each other’s faces at really high speeds. I’ve personally never lasted more than a few minutes in a low to mid-level game of Combat, and I doubt I would get to the 1-minute mark with this crew. Amazing. Duncan Toys has been a sponsor of the WJF for some time now, and the competition airs each year on ESPN2. Don’t forget to follow @yoyonews on Instagram for fast updates from contests around the world (ha ha see what we did there?) and our favorite feature, #yoyodamage….pics of people who have hurt themselves with yoyos. Montreal yoyo player Alexis JV drops bombs and jaws with this new video featuring the SPYY El Ranchero. One of the quieter members of the SPYY team, Alexis rarely pops up but he never disappoints. Quality stuff! I love love LOVE old training videos in general, and old yoyo training reels are the best! Brandon Jackson just uploaded this gem from the Duncan Toys vaults featuring legendary yoyo demonstrator Barney Akers helping teach how to run a basic yoyo contest. – 7:48 – The narrator begins lying blatantly about the history of the yoyo. 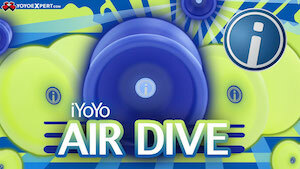 Yoyos originated in 450 BC Greece, or at least that’s as far back as any have been discovered. This nonsense was started in the 1940s by Duncan marketing director Tom Ives, and has been repeated ever since, including in textbooks and various history books. Yikes. – They only spend 3 minutes discussing how to run a contest at the very end of the video…the rest of the video is devoted entirely to demonstrating the actual tricks. It’s not entirely clear, but it looks like this reel was specifically intended not for retail stores but for Parks & Recreation departments across the country. In the 1970s and 1980s, Duncan had slowed their demonstrator program down considerably from its heyday in the 40s, 50s, and 60s, and relied predominantly on television and brand recognition to sell the product. – Phyllis Kelsey was adorable. Jack Bozung was not. Huge thanks to Duncan Toys and Brandon Jackson for sharing this with us! Eric Koloski has been a driving force in competitive yoyo play for over a decade, and is one of the most consistent and talented players I’ve ever met. In the parlance of old men everywhere, Eric Koloski is a “good kid”, and it’s more than a little exciting to see how far he’s come in the course of his yoyo career. This latest video, created with teammate Grant Johnson to promote Eric’s signature DiamondBack yoyo from YoYoJam, should come as no surprise to anyone who’s watched Eric compete…he is innovative, his trick construction is always solid, and he plays clean and with plenty of style.